Desserts, pies and tarts are a popular choice for entertaining or just to enjoy after dinner. They are always a great idea for a food gift or for a fast dessert when entertaining. I don’t know about you, but I simply can’t resist the crispy, flaky crust of a perfectly baked pie and its creamy, sweet and heavenly filling. Same thing with tarts. These two classic desserts are really timeless and always make such a great dessert when family or friends are visiting or you’re looking for that special food gift that just says enjoy! The timeless beauty is evident our Dello Mano Brownie Pies and Tarts. See how gorgeous it is? Wait until you taste it. And of course if you have no time to make one, then just pop in to the Dello Mano store or buy dessert cake online. 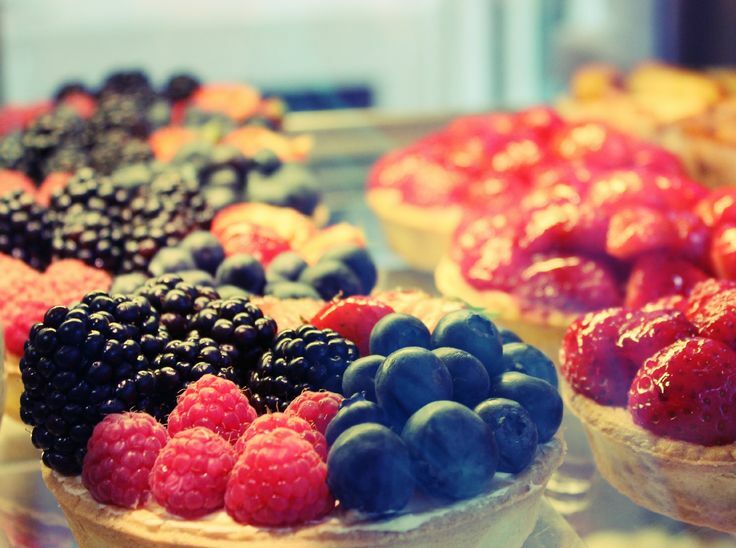 If you have the time though, handmade pies and tarts are simple pleasures. We make them here at Dello Mano with both a brownie base and the more traditional pastry base. A good pie always starts with a good crust. So what makes a good crust? The answer is simple: butter. Even better, good butter. Sure, shortening or lard is a good fit for pie crusts and is likely to produce a tender and flaky crust, but the flavour is never the same as with butter. Quality butter offers a creamy, rich and yes – buttery – taste that you won’t get from shortening. So how do you go about making your butter crust texture light and flaky? No, you don’t need pastry blender, mixer or food processor. An old-school technique, which really works, involves running cold chunks of butter between your fingertips, and incorporating them into the flour (you want your flour-butter mixture to turn into pea-sized crumbs). Such technique allows you to monitor the size of the butter pieces, so it would create flakes, not lumps as you roll it. Why use cold butter? As your crust bakes in the oven, the cold butter melts, creating steam pockets that produce a beautiful flaky texture. From there, the next step is simply a matter of choosing the filling for your pie. Well, maybe not so simple because they range from the most popular apple and pear, to dried fruit and cranberry, coffee-toffee, spiced pumpkin, pecans, and of course – the irresistible – chocolate filling. If in doubt we say, the best food gift is always chocolate! Another good strategy is to chill the dough at least 30 minutes (up to two days) before you roll it and bake it. Once assembled in the pan, chill it again before you finally put it in the oven. This ensures that the butter pieces will not melt until they are heated. Most pastry chefs would blind-bake crust or pastry shell first before pouring in the filling and baking the entire pie. Doing so keeps the size and form of the crust. To prevent the dough from rising, line the crust with parchment paper and fill with dried beans, rice or pie beads (which you can buy from a kitchen supply store). Brushing the top of the pasty with egg wash will give it that beautiful golden shine. Not only that. It will also make your pie cover crispier. The natural sweetness and distinct flavour of fresh berries blend perfectly with the creaminess, flakiness and sweetness of the pastry shell. If you’re using fruits as filling, it is important that you are aware of their baking/cooking properties. For instance, apples are normally used as pie filling not just because they are so common, but mostly because apples have natural pectin content (which acts as a binder), so your filling won’t be runny. Meanwhile, blackberries have high levels of acid on the skin, which does not go well with starch, so you want to add the starch and sugar from the start. Cherries need to be pitted if using fresh, and peaches must be peeled first. Baking delicious pies and tarts may take some effort and practice, but as you get used to it, and as you discover more techniques (which you will as you slowly become addicted to baking), you’ll find it a very rewarding task. And after a day of baking, when you finally present your food gift, you’ll be showered with compliments!. And of course you can be experimental. Our love of brownies and our clients wanting to buy brownies in all different forms, led us to invent the Luxury Brownie pie. Our Dello Mano Brownie Pies were recently noted in the SBS Food Trends for 2016 as something yummy and new for this year. We handmake our delicious brownie pies in a number of different flavours from Dulce de Leche through to Crunchy Walnut and a beautiful Belgian Chocolate Ganache. There are so many alternatives that suit a chocolate brownie base. Cheers to the pie and tart lovers around the world! These wonderful pastry creations are too good to resist and make a huge splash as a food gift or just as simply a great share treat for family and friends.